Why teach in China ? Why teach in South Korea ? Why teach in Vietnam ? Having an accredited TEFL certification is now becoming essential to gaining teaching positions world-wide. Unless you are a certified teacher in your home company and have 2 years teaching experience, then gaining TEFL accreditation is almost a must as this is the requirement stipulated by many governments world-wide in order to gain a legal work visa. Tiptop ESL Ltd is happy to be affiliated with Premier TEFL. Choosing a good online TEFL course is a minefield, so we are happy to provide you with a highly accredited, Ofqual regulated online course to take the hassle out of sourcing your own. Thus ensuring that your certification will be accepted worldwide. Premier TEFL is registered in the U.K and is the leading U.K TEFL course provider. Please visit the links to sign-up for your TEFL course. 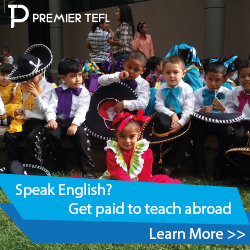 Premier TEFL offer a wide range of Ofqual regulated online courses that have been written by real teaching professionals to meet international TEFL standards. Expansive, educational and extremely engaging, Premier TEFL courses provide you with all the training you need to confidently teach English abroad. We ensure your lifelong Ofqual regulated level 5 course makes you stand out in the global job market and qualifies you for the most rewarding, highly paid TEFL jobs out there. Ofqual regulated 120 hour TEFL course. Are all your courses online? Our courses are all online so you can study on any device, anywhere, and it fits around your lifestyle as long as you remain within the validity period. How long does it take to complete the TEFL course? Most students complete the course in 6 – 8 weeks. Some people completed it in less time but 3 months is more than enough time. We also offer study extensions if you ever need them. Since our courses are all online you can study on any device, anywhere, and it fits around your lifestyle as long as you remain within the validity period. What does TEFL qualification mean? TEFL stands for Teaching English as a Foreign Language and is the certification you need in order to teach English abroad. By securing a lifelong ESL qualification with Premier TEFL, your certificate will be internationally recognized in a variety of teaching facilities, from state schools and government organizations to private colleges and individual tutoring sessions. Is TEFL only for native speakers? Not at all! 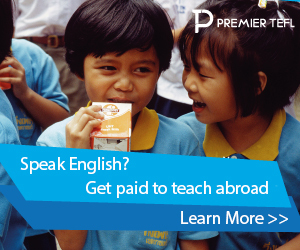 You don’t need to be English native to start your TEFL experience, you need to have proficiency in English though. What qualifications do I need to take the course? To enrol in a TEFL course you don’t need teaching experience or a degree but you should have really good English language skills in writing, reading and speaking.